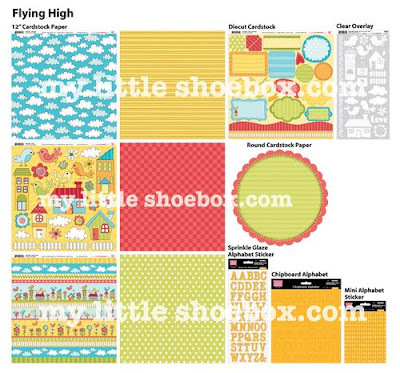 Oooh, love all the diecuts that comes with each set!! One thing though, it feels like each set is missing some paper. 3 patterns and 3 monochromatic solid-like prints are just not enough. Wow, these are cute! 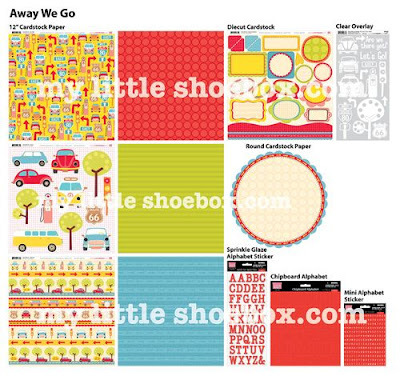 Not my usual colour scheme but I love the 'Away We Go' line cuz we have a camper just like that! 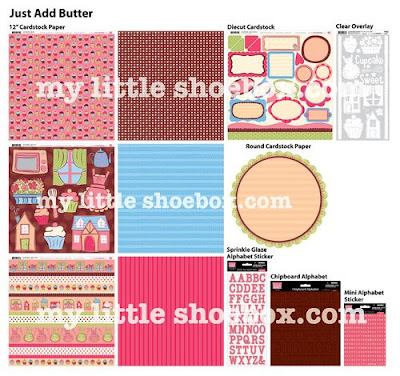 yummy yum yum yum......loving the My little shoebox designs!!! 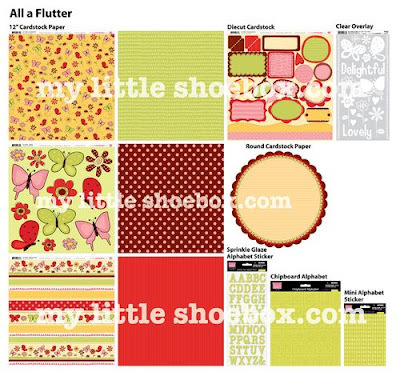 I have to say FABULOUS on My Little Shoe Box's new collections. I loved them all. I love those little hedgehogs, lol. Not feeling it, sadly... mope. 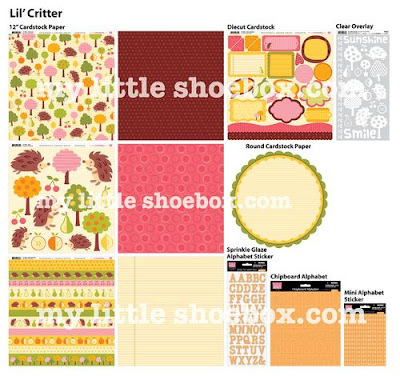 Umm, totally love all of these too! I have to agree that it seems like some of it was borrowed from Sassafras Las. 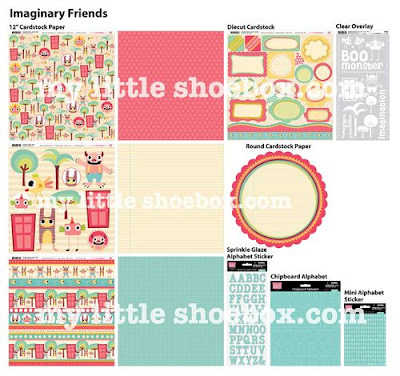 It is cute though, I especially like the Imaginary Friends.